EziTite Hydraulic Bolts are precision engineered, high performance, hydraulically operated fasteners which incorporate mechanisms for tensioning. They can be quickly and easily fitted using standard pumping equipment such as Hand Operated, Electric Hydraulic and Air Hydraulic Pumps. 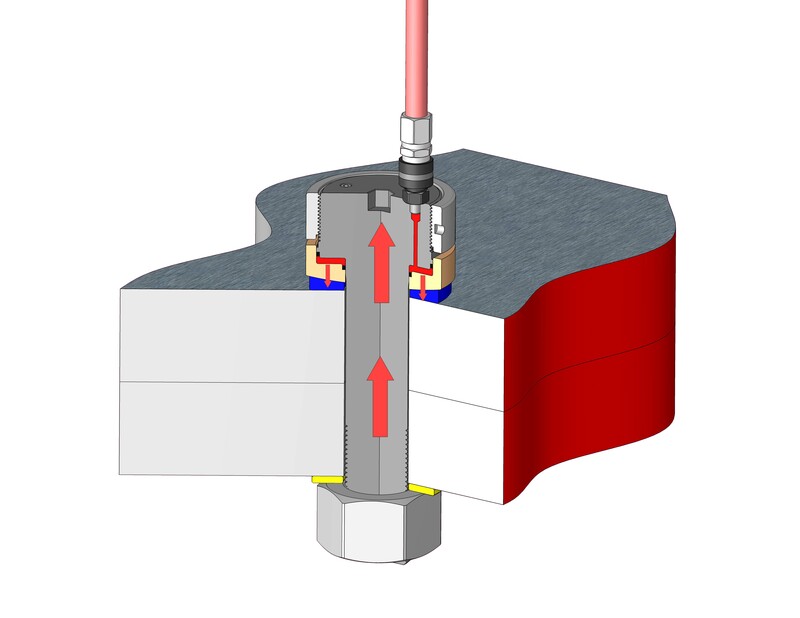 The Technofast EziTite Hydraulic Bolt minimise the time required to carry out critical bolting procedures and are extremely resistant to vibration and shock loads. They are designed and crafted using alloy or stainless steel depending on the parameters of the application and are particularly useful when regular maintenance requires repeated adjustment or removal of fasteners. Unique, patented Lockring thread technology ensures maximum retained load. Spherical seat gives alignment to joint face. Spherical washer supplied as standard. Hydraulic Nut may be supplied with Nut and flat washer. Variety of seal designs for temperature/pressure requirements. Maximum pressure of standard Hydraulic Bolts is 100 MPA. All standard bolts are fitted with CEJN type male snap fittings, 1/8″ BSPP porting and bleed plugs.